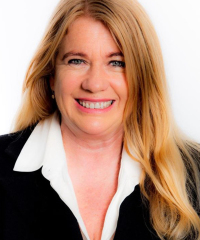 Lisa is delighted to have recently joined New Zealand Sothebyâ€™s International Realty and brings with her 18 years solid experience, focused solely on the Waiheke Island real estate market. In her third year of partnering her business with Clive Lonergan and their Personal Assistant Shakila Bell, they have developed a seamless synergy that utilises their individual strengths and 60 years combined experience. Their skills have been honed through several market cycles and theyâ€™re not surprised by market shifts. Every property is unique and Waiheke certainly has its share of variety, whether an original bach or sublime beachfront property, their focus is vendor orientated and their attention to detail, communication and bespoke marketing is their signature. The trust that develops with their clients is paramount to their team, and their personal integrity is aligned to the service they extend to all vendors and purchasers. Client expectations met and exceeded are the benchmark of their success. Lisa loves what she does, the people she meets and the stunningly beautiful island she calls home.